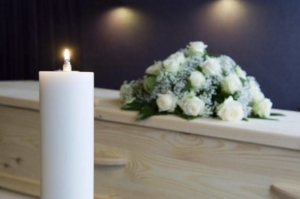 How Do I File a Deceased Person’s Tax Return? When a loved one or spouse passes away, your immediate attention is usually directed towards dealing with putting them to rest. But once that is done and the task of dealing with the person’s affairs begins, an important question typically arises; what do we do about their taxes? This post will walk you through the process of filing the needed tax returns as well as outline some additional considerations. Who Must File (Filing Requirements)? Generally speaking, whether a person has to file a tax return or not is determined by their gross income, age and filing status. However, when a person has passed away, it is generally a good idea to file a tax return even if there is no obligation to do so. Why you may ask? Because this serves as notice to the IRS and other government agencies that this person is no longer alive. This aids them in closing that person’s SSN account so that someone doesn’t fraudulently use it. It also helps other agencies begin the process of notifying beneficiaries of assets that the deceased had or was entitled to (e.g. survivor benefits). So who’s job is it to file the last return for a person who has passed away? Simple, the personal representative! The personal representative is generally defined as one of either two people; an executor or an administrator. An executor is named in a decedent’s will to administer the estate and distribute properties as the decedent has directed. An administrator is usually appointed by the court if no will exists, if no executor was named in the will, or if the executor cannot (or will not) serve. In general, an executor and an administrator perform the same duties and have the same responsibilities. After the court has approved the personal representative, you should obtain an employer identification number (EIN) for the estate. Next, you use Form 56 – Notice Concerning Fiduciary Relationship to notify the Internal Revenue Service that you have been appointed executor of the estate. Name & Address – Write the word “DECEASED,” the decedent’s name, and the date of death across the top of the tax return. If a joint return is being filed, write the name and address of the decedent and the surviving spouse in the name and address fields. If a joint return isn’t being filed, write the decedent’s name in the name field and the personal representative’s name and address in the address field. Third Party Designee – You can check the “Yes” box in the Third Party Designee area on page 2 of Form 1040 to authorize the IRS to discuss the return with a friend, family member, or any other person you choose. This allows the IRS to call the person you identified as the designee to answer any questions that may arise during the processing of the return. A surviving spouse, under certain circumstances, may have to file the returns for the decedent (i.e. if a joint return is being filed).